Save when you bundle. 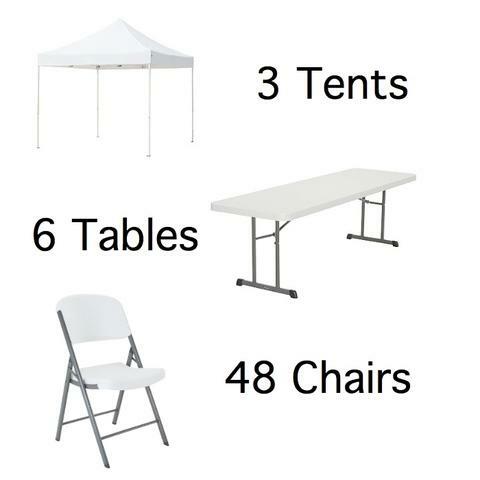 Order this package and you'll receive 3 10'x10' pop up canopy tents, (6) 6' tables and 48 folding chairs. Save when you order this package as opposed to ordering separately. Need more? No problem. Simply adjust the quantity of this money saving package when you order.